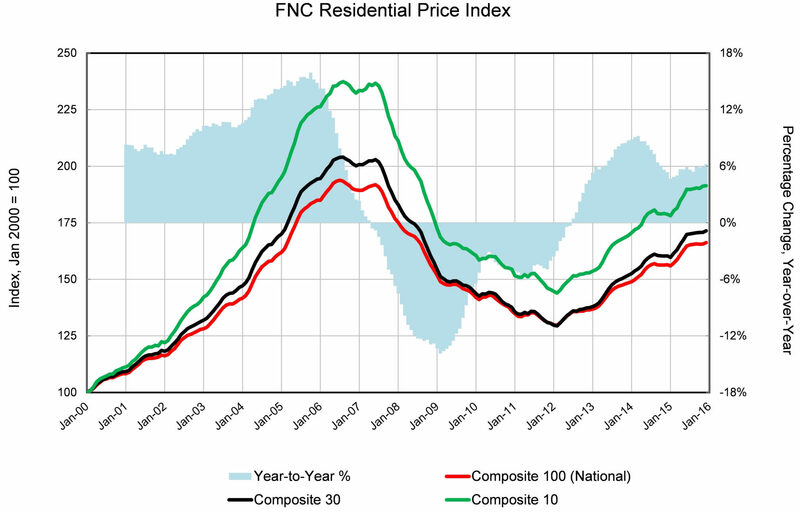 Released February 16, the FNC Residential Price Index reported that home prices in December posted a modest monthly increase at the close of the year. Nationwide, home prices in December 2015 represented a 0.4 percent uptick from the seasonally adjusted rate in November and a 6.2 percent increase on an annual basis. National home prices increased 6 percent annually in the fourth quarter of 2015. “Riding on a robust pace of home sales and new housing starts, home prices in 2015 finished strong with year-over-year growth at a 15-month high since October 2014. If judging on a seasonal basis, December’s month-over-month increase outpaced the same period of the past three years,” said Yanling Mayer, FNC’s housing economist and director of research, in a statement. Some surprising metros saw the highest month-over-month gains. 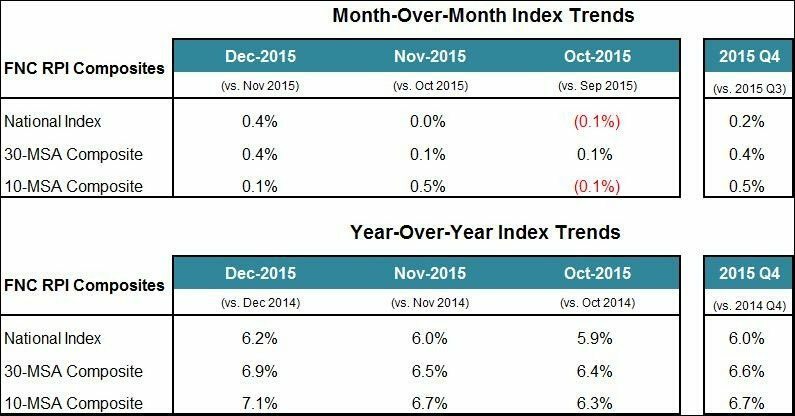 In San Francisco, home prices fell 0.1 percent on a monthly basis in December 2015. Annually, San Francisco prices rose 12.6 percent. Despite San Francisco home values falling on a monthly basis, the strong annual uptick shows its unlikely the fall is worth worrying about.